To comfortably ride this Texas carnival ride, each vehicle can fit up to four adults or six children. This allows carnival riders to ride with slightly larger groups than the average carnival ride. Come with your family and friends to experience the thrill and fun of our Spin the Apple Texas carnival ride! The maximum weight limit is 800 lbs (363 kg) per vehicle. Jumperbee’s Spin the Apple Texas carnival ride is an interactive spin ride with a fun candy apple theme. With its variety of color and spinning capabilities, participants are guaranteed a thrilling experience. Once the ride starts to turn counterclockwise the participants can spin their apple independent of one another at their own pace. This ride is meant to make riders dizzy, so when the ride stops, riders can exit slowly and begin to gather their balance back. This exhilarating carnival ride is sure to thrill any aged child or adult. 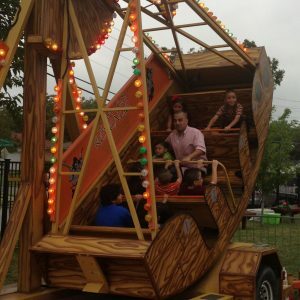 Although this ride is geared mainly towards children, this carnival ride is also for adults. 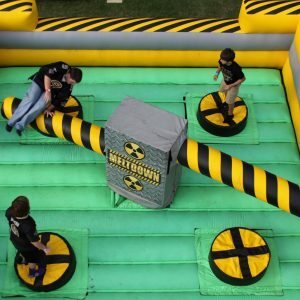 With its fun interactive spinning action, the Spin the Apple Texas carnival ride is a must-add to any festival, corporate picnic, or large party. Don’t wait, book today! This particular carnival ride has safety features so that you don’t have to worry about accidents! 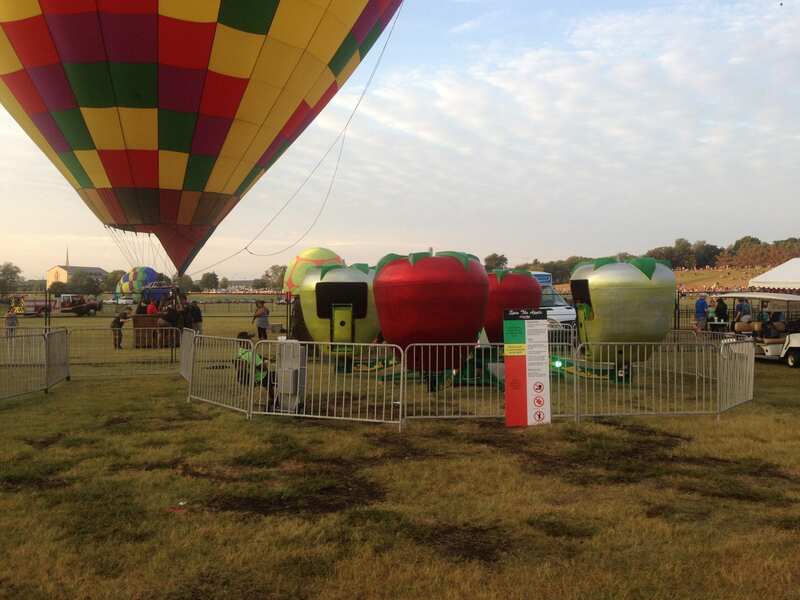 The apple-shaped vehicles each have a door that latches safely closed throughout the entire ride. This door still leaves a wide window for ultimate spinning fun. 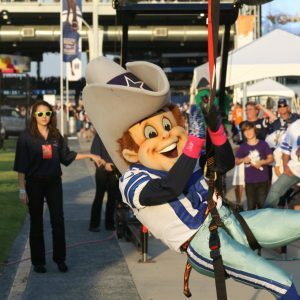 Get a view of your Texas event in a unique way!